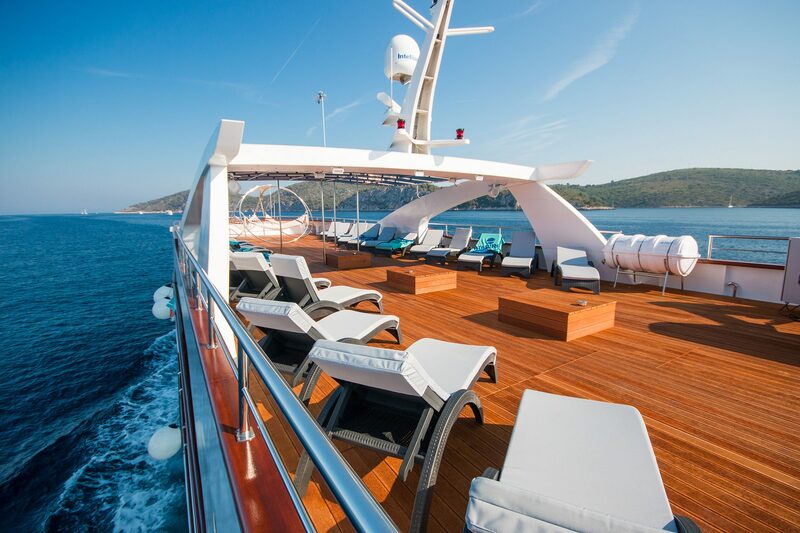 The MV Aquamarin, launching in 2017, is a truly deluxe ship. 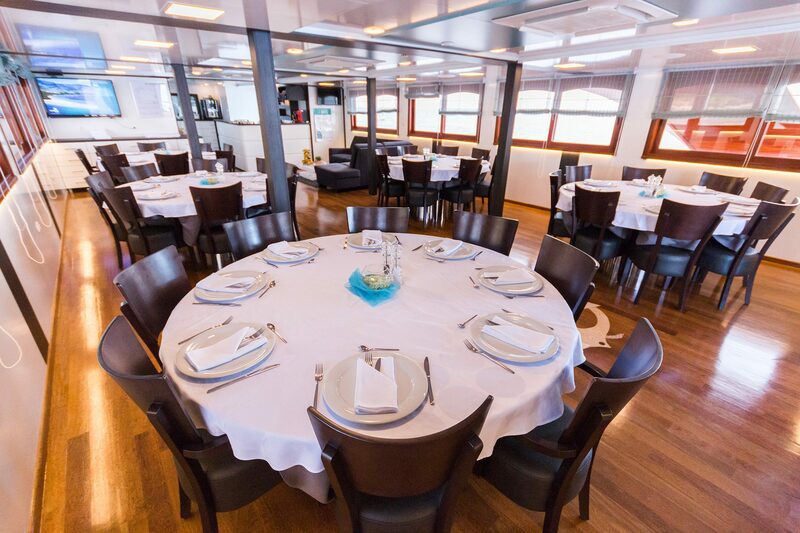 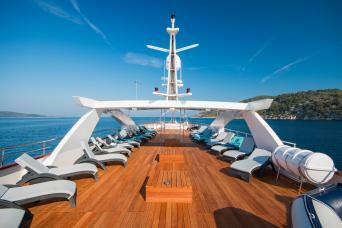 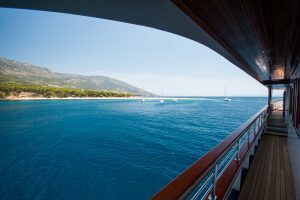 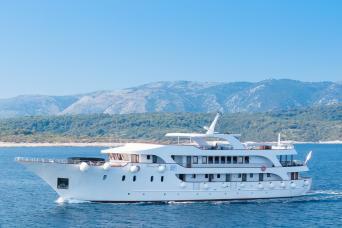 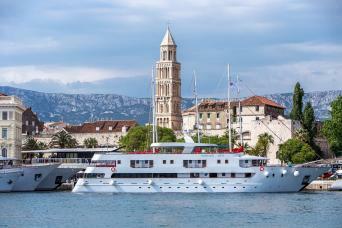 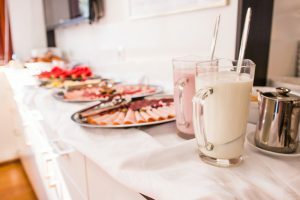 Carrying a maximum of just 39 guests, the ship enjoys an intimate, uncrowded feel. 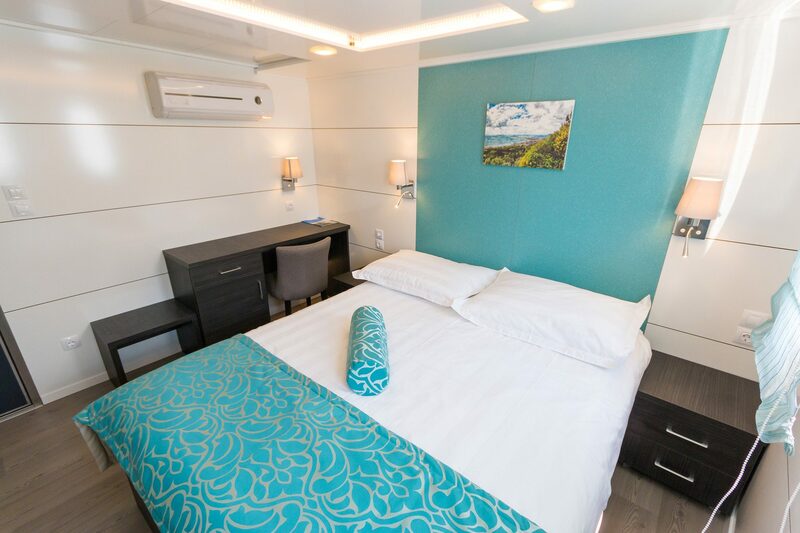 Built to the highest standards and elegantly decorated throughout in a contemporary style, your comfort is assured. At 43 meters, she is perfectly designed to be able to berth at smaller ports of call which adds to the sense of exclusivity you feel aboard these most delightful of yacht cruisers. Despite their size, the thoughtful design of these vessels still ensures the polished decks and smart public areas feel airy and spacious, stylishly furnished with warm woods and fabrics in cool tones – all designed to help you relax and unwind. 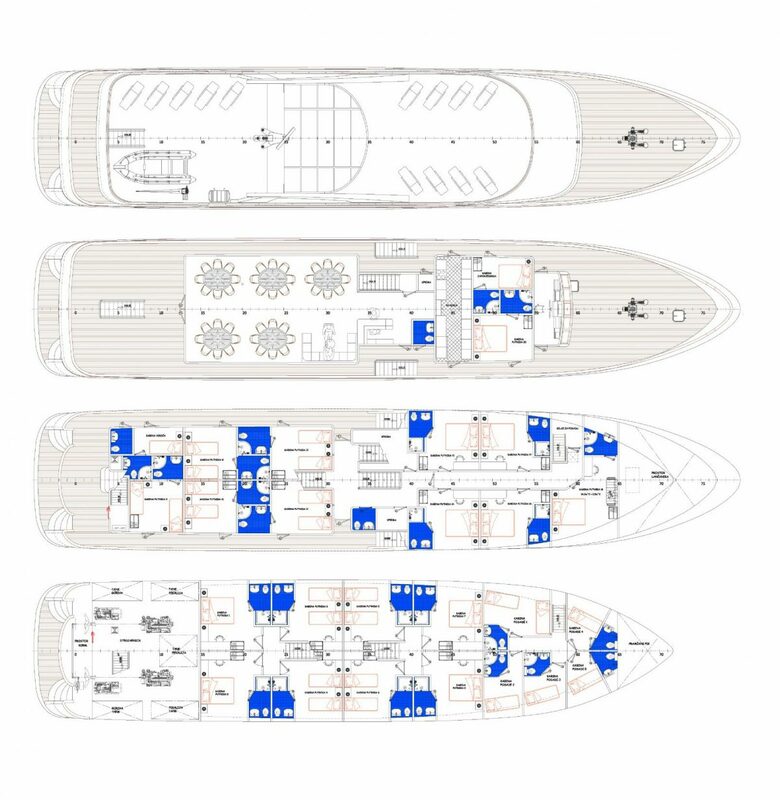 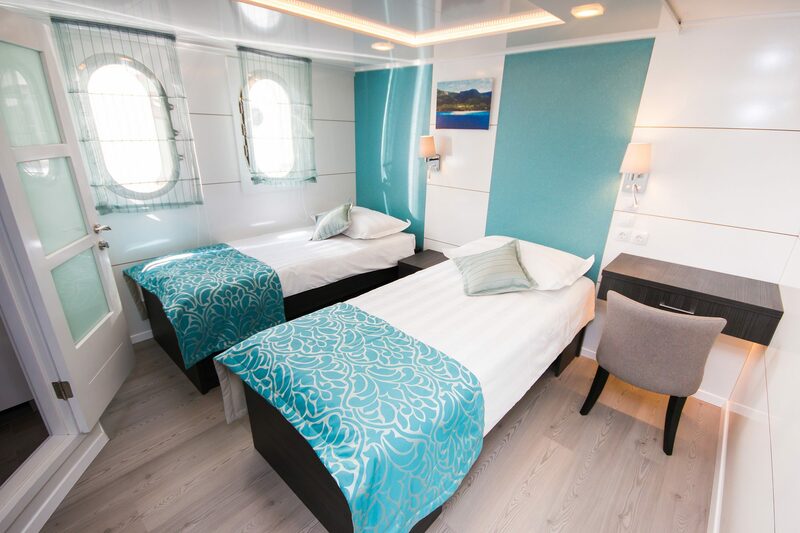 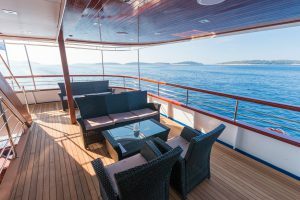 All decks provide tastefully furnished accommodation: well-appointed outside cabins, with elegant wood flooring, luxurious double or twin beds and contemporary bathroom fittings. Double and twin cabins are a minimum size of 14 square meters (151 square feet), with one top deck cabin available at approximately 13 square meters (140 square feet). All feature individually controlled air-conditioning, bathroom with shower and WC, wardrobe, safe, LCD TV, hairdryer, table and chair.